Tsunami Swimming Center Saipan head coach Hiro Kimura has released the initial list of swimmers he is considering to field in the Guam Invitational Meet next year. Twenty-three made the preliminary roster, including six who may make their debut in Guam. Kimura will add a few more on the list, as he aims to bring around 30 swimmers in the Guam competition scheduled for Jan. 12. Leading Kimura’s nominees is Tsunami Saipan captain Nelson Batallones, who is now in China, waiting to compete in the 14th FINA World Championships (25m). Joining him are Joseph Zhang, Juhn Tenorio, Alex Kim, Hans Xu, Isaiah Aleksenko, Kean Pajarillaga, Kouki Watanabe, Shuman Barman, Aasish and Ashley Dangol, Asaka and Shoko Litulumar, Ayumi Obligacion, Fiona Regan, and Maria Batallones. Completing the initial list are newcomers Julia Jinang, Cassie Regan, Sakura Hara, Nagisa Litulumar, Sari Barman, and Kevin Guerrero. “Our target for the Guam meet is to update best times 100 percent. I am confident that our swimmers will perform very well in Guam. 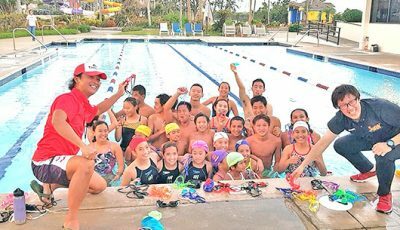 They are consistently improving despite the closure of the Kan Pacific Swimming Pool,” said Kimura. 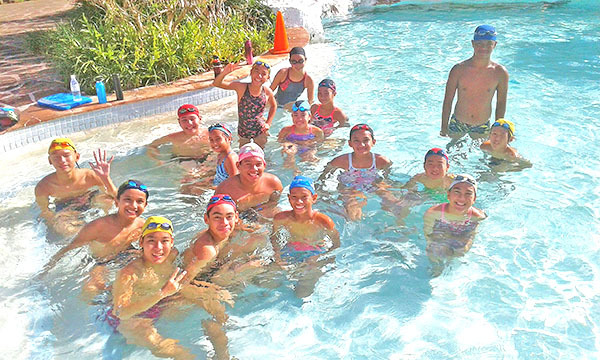 “Our practice pool is small, but Tsunami Saipan swimmers are training hard. I think, training is even harder at our current practice pool and they are up to the challenge and will go to Guam with confidence,” Kimura added. 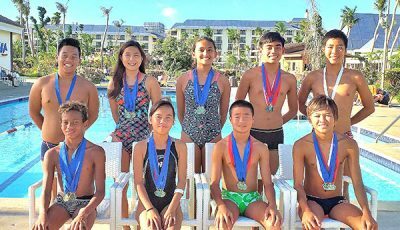 Tsunami Saipan swimmers train at the Hyatt Regency Saipan pool everyday and Kimura is thankful for the hotel management’s generosity. “Hyatt Regency Saipan is very supportive of our young swimmers. They also support our fitness course (beginners level) and we could reopen that class with their support. 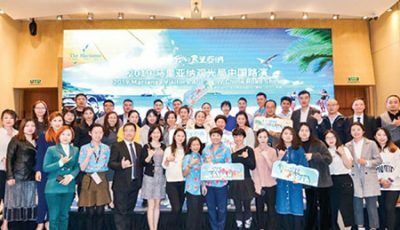 We are very grateful to Hyatt for their support and for understanding our situation after the Marpi pool closed and Yutu came,” Kimura said. 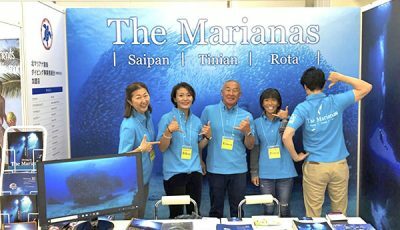 Meanwhile, Tsunami Saipan senior member Aika Watanabe was selected to represent the CNMI in the 14th FINA World Championships, joining Nelson, Jinju Thompson, and Lennosuke Suzuki. However, Watanabe did not make it to the tournament in China due to travel document problems. Despite the missed opportunity, she remains positive that she will get another chance to compete for the Commonwealth. “I was really happy and felt excited when I got selected as one of the members of the team. After missing the chance to go to China and swim, I will continue to put effort in my swimming and hopefully I will be chosen again,” Watanabe said. Kimura believed his swimmer will get another opportunity. “There will be another chance for her. It could be the FINA long course world championships next summer. Aika is the top female swimmer of CNMI now,” Kimura said.